After early morning proceed to railway station for your onward journey to Borra caves / Araku Enjoy the train journey passing through 40 tunnels, bridges and wonderful landscapes. Upon arrival at borracaves / ARUKU you would be received by our driver and proceed further by Car. Visit Borracaves / Aruku local site seeing Galikonda viewpoint, Ananthagiri, Araku tribal museum . Overnight stay at Araku valley. After Breakfast check out of the hotel and proceed to Tyda Jungle Bells Eco Tourism camp: By evening check into Tyda Eco Tourism Jungle bells Resort. Overnight stay at the hotel. You can enjoy activities like Dhimsa tribal Dance, Camp fire and trekking the next morning. Overnight stay at the resort.Jungle bells Tyda: This is an eco Tourism resort. 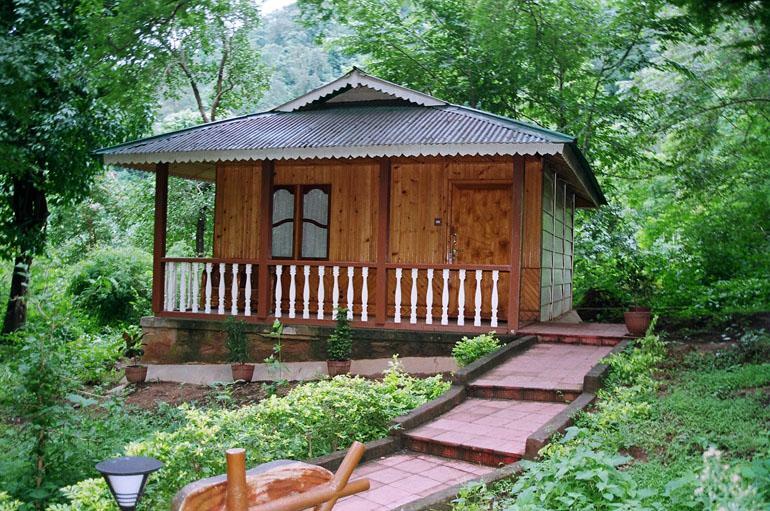 All the cottages have been constructed on the tree tops in a jungle kind of an environment. You do not have televisions in the rooms or mobile phones,working here. You can only be disturbed by nature. The rooms are very well made giving you a memorable experience. After trekking and Breakfast Check out of Tyda Eco tourism resort and visit additional places like,Tatipudi Enroute. Visit Simhachalam temple ( optional ) Reach vizag. and drop back at Rly station / bus stand .